A month in Accra didn’t sound like the worst offer in the world, especially in the midst of a Scottish winter. Sure enough, there was work to be done, but there would be plenty of opportunity to explore one of Africa’s biggest cities and, one hoped, things a little farther afield. One of the first things that strikes you about the Ghanaian capital is that it is, like many African cities, a mixture of the modern and the traditional. You’ll see lots of smartly-dressed executive types wandering around amidst people wearing robes, along with those in casual, western-style dress such as tee-shirts and, almost inevitably, football shirts, mainly those of the megabucks English Premier League clubs. 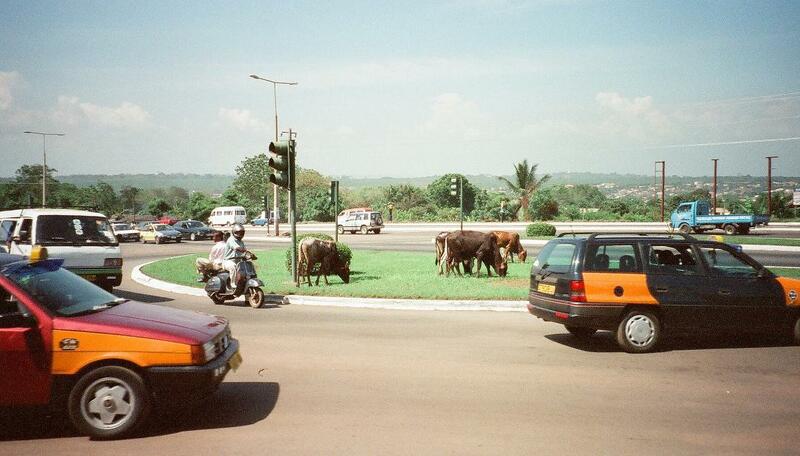 You’ll also encounter bizarre sights such as cows grazing in the middle of roundabouts, or circles as they are known locally. So where to start? Accra can be busy and crowded, but it’s a nice place to wander around. There is a pleasantly safe and laid-back feel to it. 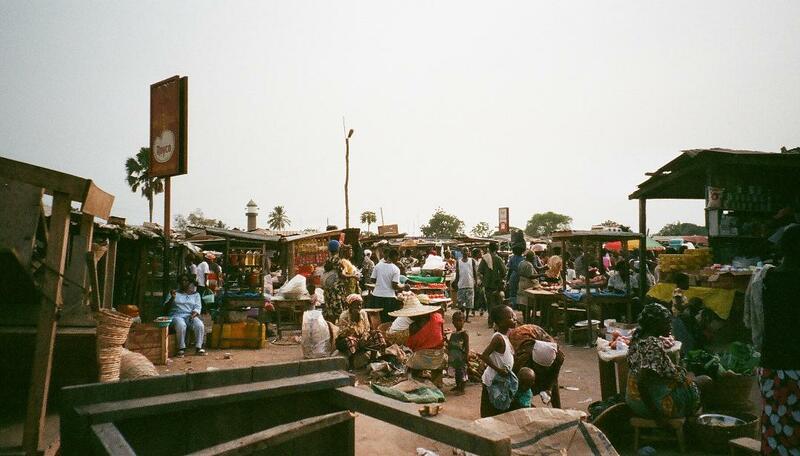 A good place to see some serious hustle and bustle is one of the many markets. It’s possible to find all manner of produce, enjoy some spicy aromas and just get a feel for the atmosphere of the city. On the subject of food, Accra has a plethora of restaurants and it’s not hard to find food from all over the world. There are plenty of places selling local food, though as a vegetarian, I found the menus a shade on the meaty side. Even so, you can usually find something in the mode of spicy beans and discover a bewildering variety of ways to eat plantain, a truly Ghanaian staple. Indeed, you will often come across people carrying huge bunches of the stuff around on their heads. Food, beer. In we go. But if you fancy French cuisine, Italian or Chinese, there are many restaurants that will satisfy that need. You can also enjoy a good curry, with a couple of very decent Indian restaurants. Indeed, one such is run by a gentleman from the south of India who maintains a fine selection of vegetarian dishes typical of his home region. Bars are everywhere. 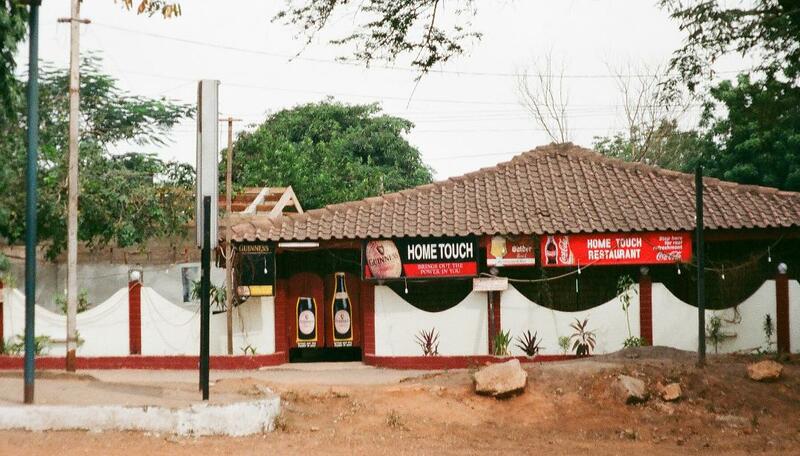 There are four main breweries serving Accra, though unfortunately they all produce very similar, 5% Euro lagers. All are palatable enough, especially considering the heat of the day (and evening), but are not terribly interesting. Those (like Duck Holiday) that enjoy a good black beer can find Guinness in many places, though be aware that much of it is the rather vigorous Export version which weighs in at 7.5%. Another beer you may well encounter, though it is a little harder to find, is Castle Milk Stout from South Africa. This is a very tasty stout and slips down rather more easily than it’s 6.4% strength suggests it should. It is very pleasant to sit outside in the evening and enjoy a glass or six of beer. A lot of bars pump out some lively local music and you shouldn’t find it too hard to engage in conversation with locals. One thing guaranteed to get the ball rolling (pun intended) is to display your knowledge of Ghanaian footballers. No sooner had I reeled off a few famous names than the debate and beers were flowing at a considerable rate. 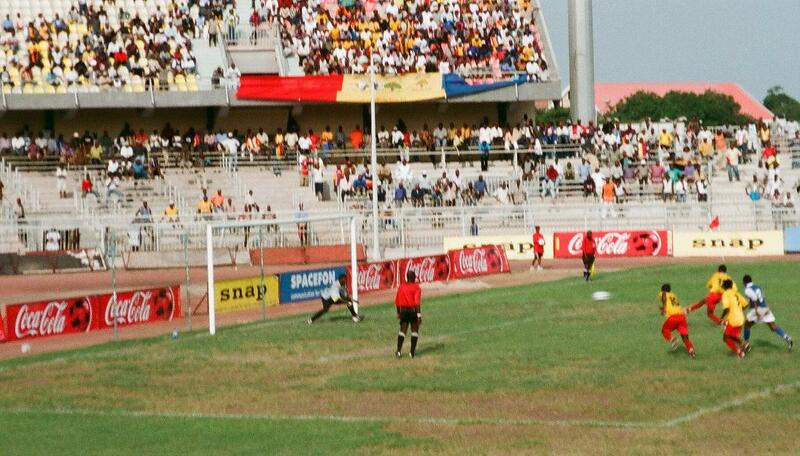 For those keen on football, a trip to a game is an experience not to be missed. Even if the game in front of you is not particularly enthralling, the sights, sounds, colours and noise more than make up for it. It’s certainly a fun way to pass a Sunday afternoon. Ghana is a real haven for the birdwatcher. Even in the city, you’ll find lots of exotic birds, and a trip further afield is guaranteed to reveal even more. From small weaver birds to large and noisy species like plantain-eaters and green wood hoopoes, there is more than enough for even the most avid birder. 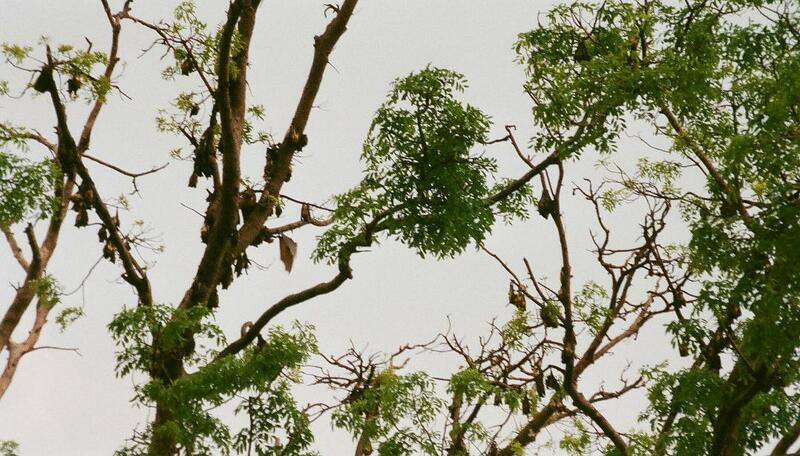 There is plenty of other wildlife to keep you alert; in downtown Accra, you’ll see a variety of lizards and you are almost certain to spot huge fruit bats hanging around, in a very literal sense, in trees waiting for temperatures to cool before they go foraging. Once you venture a little way out of the capital, you can be sure to add to the list of birds spotted. 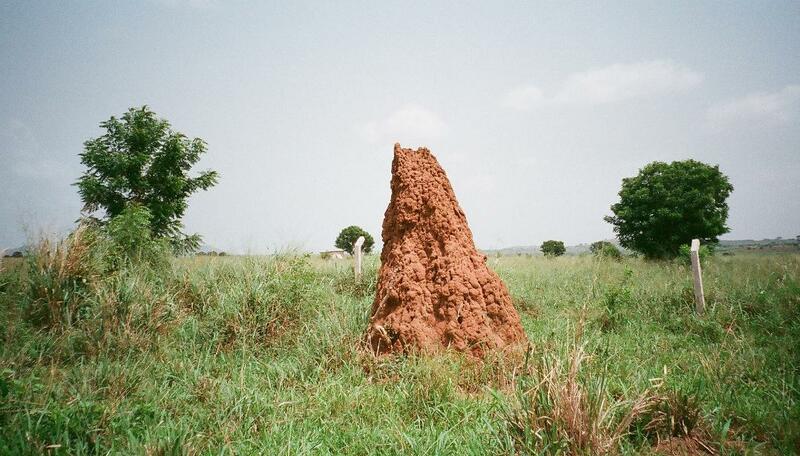 Something else you cannot possibly miss is the extraordinary structures built by termites. These earth-coloured mounds appear everywhere and some of them reach truly improbable heights. To see them in the flesh, so to speak, rather than on a television documentary, is quite an experience. 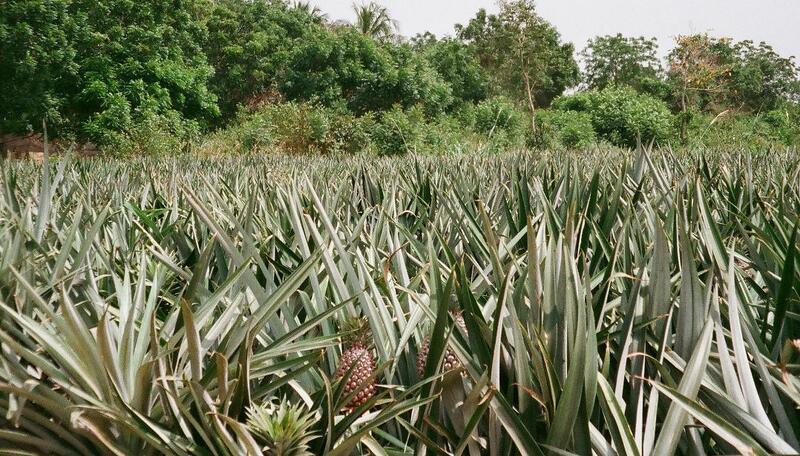 As part of the work schedule, it was necessary to visit a pineapple farm, among other places. After talking to various fruit producers and people in many other lines of business, it soon became clear that many of them were treated appalling by buyers and agents. One common trick was for agents to inform fruit exporters that their consignments had become rotten en route to their destination. Generally, this was a flagrant lie and made us even more vociferous in favour of Fairtrade practices. One happier result of the visit to the pineapple grower is that, during our meeting, the farmer sent one of his workers out to cut a fresh pineapple. The result was quite wonderful, a sweet, juicy and delicious fruit that tasted positively heavenly. The only downside to this experience was knowing that no pineapple bought in the UK could ever taste as good. Is there space for us? Having a car with a dedicated driver was a real bonus. 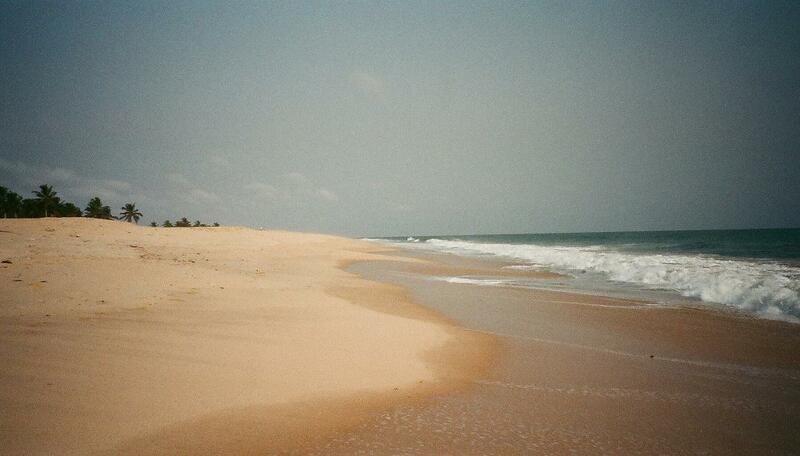 We were able to explore the coastline around Accra. 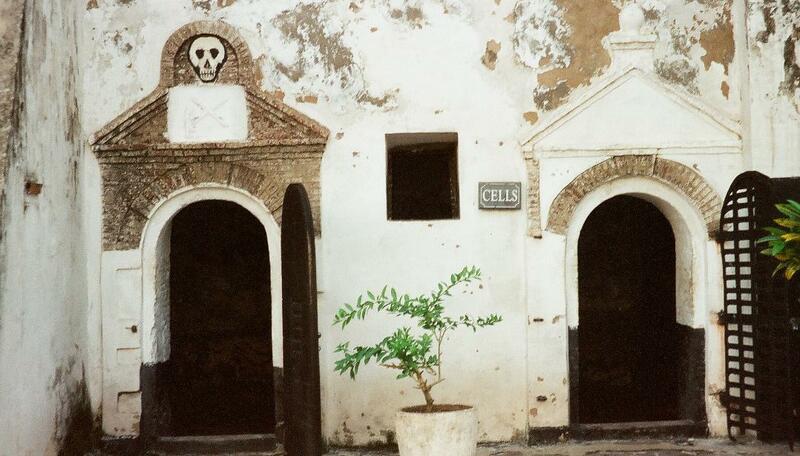 This area is still sometimes known as the Gold Coast, the country’s name during colonial times. There are many delightful beaches, an abundance of palm trees and a genuine, if stereotypical picture of a tropical paradise. Reality bites when you visit one of the slave forts that remain dotted around the coast. These were, as the name suggests, effectively prison camps used to hold slaves bound for the Americas. While they may not be as famous – one should say infamous – as the concentration camps of Germany and Poland, their purpose leave the visitor in no doubt as to the dreadful scenes that took place. For a glimpse of man’s blind indifference to his fellow man, it is not necessary to look further. Happily, there are many more heart-lifting forms of entertainment. One is to visit the tropical rain forest and take a walk up in the canopy. 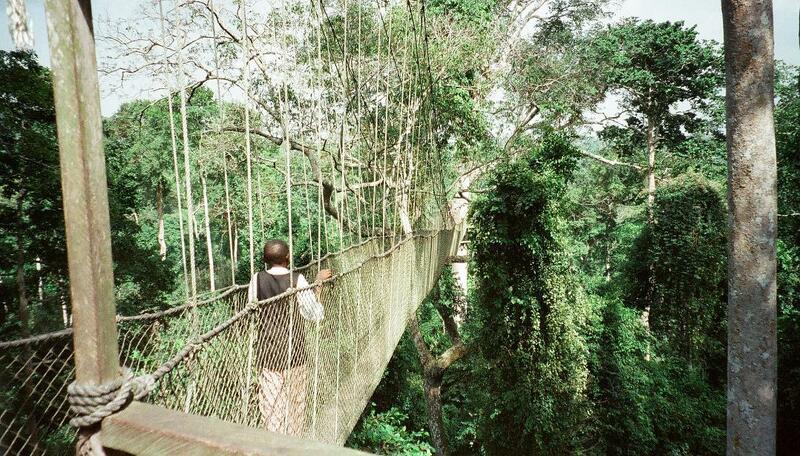 This is all made possible by the use of rope bridges high in the trees. It is not, of course, everyone’s idea of fun and more than a few souls decided this wasn’t for them and turned back. It’s entirely safe, however. The trick is not to walk in a normal manner across the bridges, but to cross in the mode of a tightrope walker, putting one foot directly in front of the other. This prevents the bridge swaying and the views are terrific. It may be added that insect repellent is a worthwhile item to pack if undertaking such a jaunt. 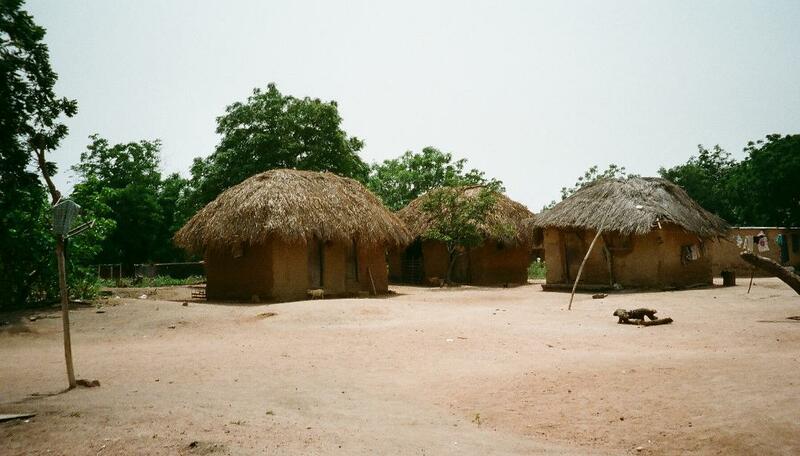 Ghana is, generally speaking, an easy-going and safe country to visit. As with any country, one must, however, be sensible and check out local customs and regulations. We were based in an area of Accra that was home to a number of embassies, so it was always wise to check just what you were pointing binoculars and camera at while trying to spot birds. Largely, it is a matter of common sense. Even so, there are things that take even the most experienced traveller aback. 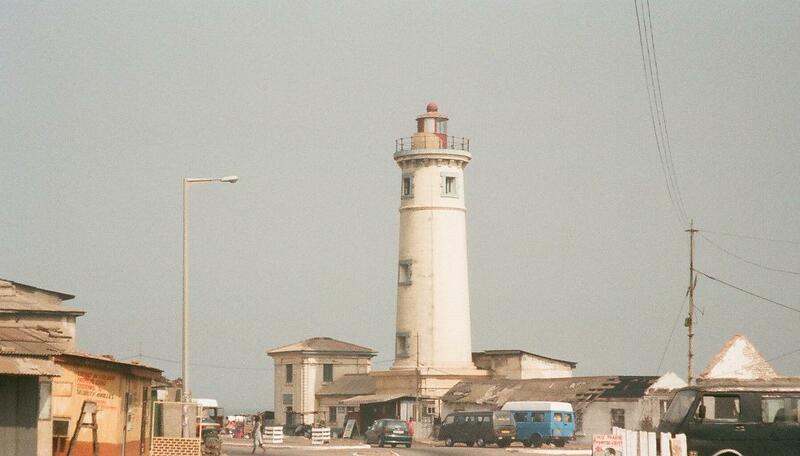 Wandering along the sea-front in Accra one Sunday, we spotted a lighthouse up ahead and took a photo from a distance. Only when we reached the lighthouse did we spot the sign that informed us that taking photographs of it was not permitted under any circumstances. Quite what penalties were likely to ensue were not worth hanging around to find out. 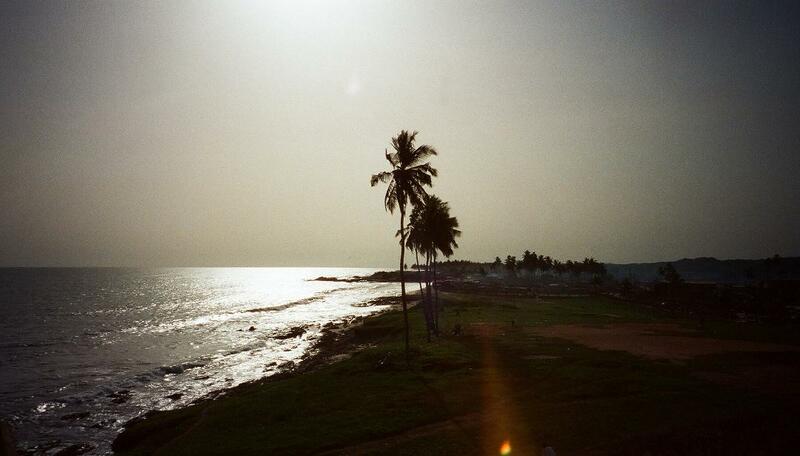 Ghana, and Accra in particular, are not the worst destinations for anyone wanting to visit sub-Saharan Africa for the first time. The climate is pleasant and while it is hot for those of us from cooler regions, the proximity to the sea usually means that temperatures are tolerable. There is a welcoming feel to the place and a great deal to see and do. Food and drink is varied and abundant. And there’s even a nice little bonus, at least to those of us from the UK; Accra is in the same time zone as Greenwich, so even the eight-hour flight does not leave one jet-lagged!